Note: This blog was updated in October 2018 with the latest information about our internship hiring process. At the outset, you should remember that there’s no easy way to get into a company that’s out to solve some of the world’s biggest problems. You will be put to the test! We care deeply about our team and culture, which means that we spend a lot of time on hiring the right kind of folks to join our team. We test every candidate on multiple parameters — skill, intelligence, creativity, ambition, passion, and energy. We’ve created this blog to show what our application process looks like for interns. Each person’s application process varies based on their location, background and the role they’re applying for. For example, we may ask people in Delhi to come into our office for an interview or challenge, but people outside of Delhi won’t have to travel for this. You can expect all or some of these steps to happen for each person who applies, though the order may vary depending on what’s right for each application. We’re looking for our next batch of amazing interns. If you are looking for your next challenge and want to work with us, check out this blog for more information. No matter who you are or what internship you’re applying for, you’ll always have to start by filling out an application. We don’t process resumes sent in via email, no matter how awesome they are. Please always apply through our Careers portal. Resumes submitted without answers to our application questions will usually get rejected. We’ve handpicked questions for each position, and we read the answers carefully to evaluate each applicant. They help us better understand you as a person, beyond your CV, so we think they’re pretty important! We care about the details. If you have a shabby looking resume, we don’t interview you. We believe that the folks who will be successful at SocialCops are the ones who work to perfect the smallest details. While applying to SocialCops, make sure that you show us what you can do instead of rambling about your skills. Want to be an Android application developer intern? Send us APKs or, even better, a Google Play Store link to your app. Business development intern? Send us a pitch! Research the role and tell us exactly why you want to work with us. Generic answers about wanting to work with a startup won’t get you very far. Don’t say you want to work with us because we’re a “prestigious firm”. We’re not looking for people who are only in this for prestige or bragging rights. Don’t tell us how you really want to learn data science or this would be a great opportunity for you. Tell us why you uniquely will make a mark on SocialCops before you leave. Badly formatted emails and wrong spellings in your application set off our alarm bells, especially if you’re applying for a business, growth or content role. Looking for more information about how to ace our application? Check out our full-time hiring blog for more FAQs and tips. If you nail your application, we’ll set you up for the ultimate challenge! All our interns, based on their portfolio, get a challenge. If you’re applying for engineering, we test you on building something cool. If you’re applying as a data scientist, we test your data crunching skills. This is where we dig a little deeper into your skill set. We generally allow about a week for you to send back your challenge. If something comes up during this time and you won’t be able to complete the challenge, let us know. We evaluate extensions on a case-by-case basis. If you’ve gotten this far, this is good news. Give yourself some credit for making it this far, because you’ve already impressed the team! Next, you receive an invitation for a call (or two or three!) with our team. A call is a way for us to get to know you better. It could range anywhere between 15 minutes and 1 hour, and you could be asked a lot of different questions about your passion, your experiences, and your dreams. Sometimes you’ll even be asked to solve puzzles or challenges on the spot. This call is where we understand if you have the passion and fire to make a unique mark on our company and the world. It’s also the best way for us to learn more about you as a person — how you like to work, how well you will fit with the team, and what your perfect role will look like — so please just be honest! P.S. We often will do more than one call to understand you better. You may end up talking to our hiring team, the team you’ll be working with, or even our co-founders. It’s important to us that our team loves every new hire, and that every new hire loves our team. That’s why we invite candidates who stay in Delhi to spend a day or two with us. It’s a great way to meet all of the team members, talk in depth with our co-founders, and learn more about our work. We also try to ensure that everyone who comes to our office with us gets a real taste of what it’s like to be at SocialCops. This includes you solving a challenge, a real-life problem statement being faced by the team, which should help you better understand the types of problems we solve every day. If your application went well… woohoo, you’ll get a mail accepting you into our internship program! We recently updated our Careers site to include more information about our work, different teams and our culture. 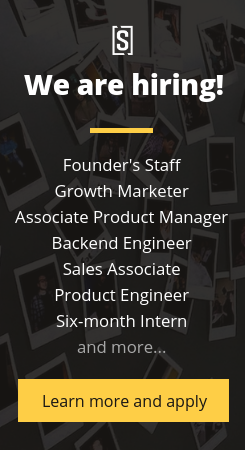 We even have a detailed page about the type of work that our interns and recent grads do. Check it out! Will I get feedback on my challenge or interview? If we don’t end up giving you an offer after you visit our office, we’ll give you feedback on why. Hopefully it’ll help you understand what didn’t quite work out and help you with future internship applications. However, we unfortunately can’t give feedback on every challenge right now. We really value feedback, and being straightforward is even one of our core company values, so we’d love to integrate this value into our hiring process. But we haven’t yet figured out a scalable way to do that. To give a bit of context, our team reviewed nearly 8,000 applications last year. Even if we spend just 5 minutes per person, that’s 16 work weeks spent on feedback. As a small team, we unfortunately don’t have that time right now. But please know that we’re experimenting to figure out a way to give feedback scalably. Any more questions or concerns? Check out our Careers site here, or contact us at [email protected]. Interested in working with us full time? We’ve talked about our process for full time positions in a separate post here. We’re always looking for new interns and team members. Think you’d be a good fit? Check out our open positions here. For Summer internship in machine learning, when is the right time to apply? Hi I just completed my B. Tech in CSE. I am currently under going a training in Data Science using Python which will end by October. When can I apply for the internship in Data & Research? What are the profiles under which you provide internship? I am B.Tech 3rd year Computer Science student I want to do 6 month internship.Please help me where I send my CV.